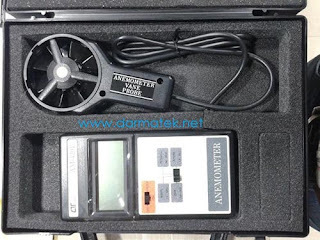 Digital Anemometer Without Temperature0.4 to 30.0 m/ s, m/ s, ft/ min, km/ h, knots, Data hold, 18 mm LCD. Low-friction ball-bearing vane. - Multi-functions for air flow measurement: m/ s, km/ h, ft/ min, knots. - Low-friction ball-bearing design resulting in accuracy at both high and low velocities. - Conventional twisted vane arms, always a source of unreliability have been eliminated. 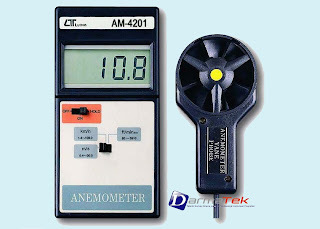 - Wide applications: use this anemometer to check air conditioning & heating systems, measure air velocities, wind speeds.